Aristocrats, code breakers, missionaries and film stars have all occupied this exotic Gothic mansion. 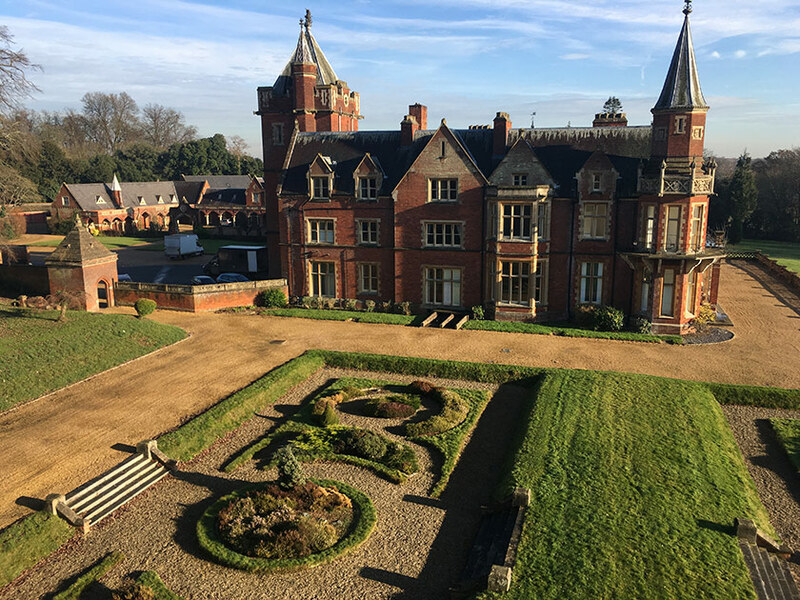 Now Bulstrode Park in Buckinghamshire is to become an exclusive luxury hotel at the very top end of the market. Childs + Sulzmann architects have recently achieved planning and listed building consents to convert this magnificent Victorian country house. After months of sensitive negotiation with the authorities, we now have approval to create 60 guest rooms, private dining rooms, a wellness spa and a unique summer pavilion. The accommodation includes five suites which will be the largest in the region and on a par with anything London has to offer. Built for the 12th Duke of Somerset, in a landscape by Humphrey Repton, Bulstrode is quintessentially English. It is, no doubt, for this reason that it’s recently been used as a location for A very English Scandal, Johnny English and Midsomer Murders amongst others whilst we worked through the complex planning process. 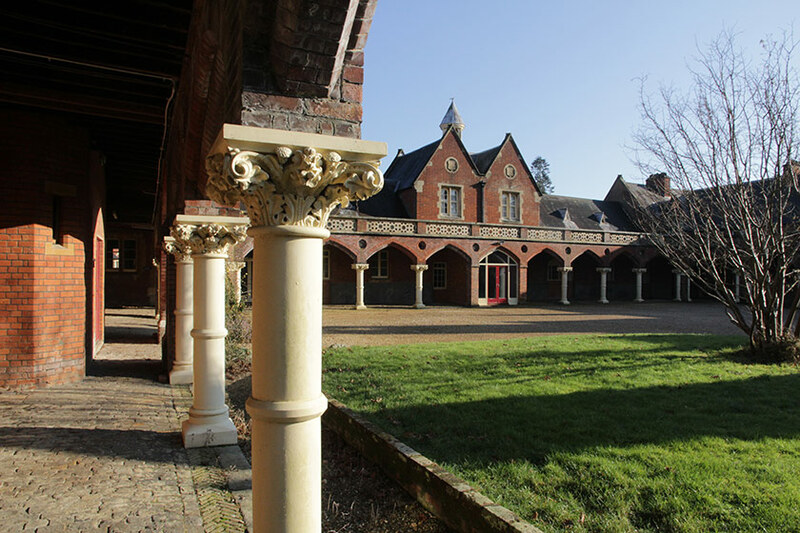 Bulstrode is steeped in history. The original house was built in 1676 for the infamously harsh ‘Hanging Judge’ Jeffreys. This was demolished by the 2nd Duke of Portland who made his money from the stone that built most of London including Whitehall and Regent Street. Somerset demolished the unfashionable Georgian house in favour of Gothic and created the house we see today. During the war, Bulstrode was used by the RAF for cipher training and in 1958 was sold to a local farmer who sold it on to a Christian mission. The property was acquired by a private investor through Savills in 2016 from a guide price of £13M. 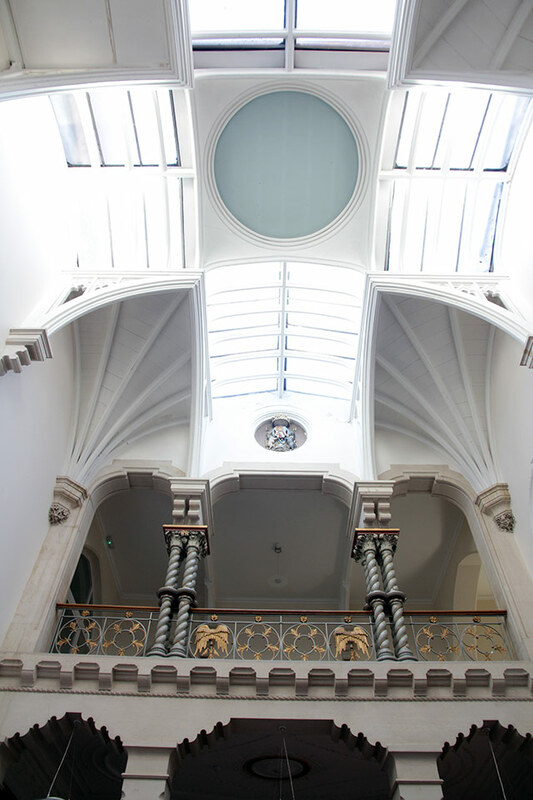 The existing buildings provide 106,000 sq ft and sit in 39 acres of parkland. The designs for the transformation have been developed with a consulting team of experts in their field to capture and celebrate the opulence of one of the most important country houses close to London. Just 40 minutes from Mayfair the hotel will be perfectly located to attract the most demanding clientele. The budget for the project is confidential but it is absolutely certain that every aspect of the hotel will be completed to the highest possible standard. “This is the largest project yet for our hotel team who are now totally focused on producing a world class hotel,” states Design Director, Nick Childs. “We were delighted to be appointed in recognition of our extensive experience in the design of country house hotels gained over nearly thirty years”.